On 5 October 2015, a seminar entitled “The 50 Million Shock: The Population Decline’s Impacts on Society and Business” was held at Academyhills in Roppongi in Tokyo. The seminar considered the implications of the “population implosion” on business and daily life, and discussed what should be done by the government, companies, and, above all, we ourselves. The seminar welcomed as guests Mr. Shinjiro Koizumi (House of Representatives, Parliamentary Vice-Minister to the Cabinet Office, and Parliamentary Vice-Minister to the Minister for Reconstruction) and Mr. Genichi Tamatsuka (President and CEO, Representative Director, Lawson, Inc.). Ms. Noriko Sakakibara (Senior Research Fellow, Yomiuri Research Institute, The Yomiuri Shimbun) served as moderator. Ms. Sakakibara began by describing the seriousness of this issue by presenting data on population decline. 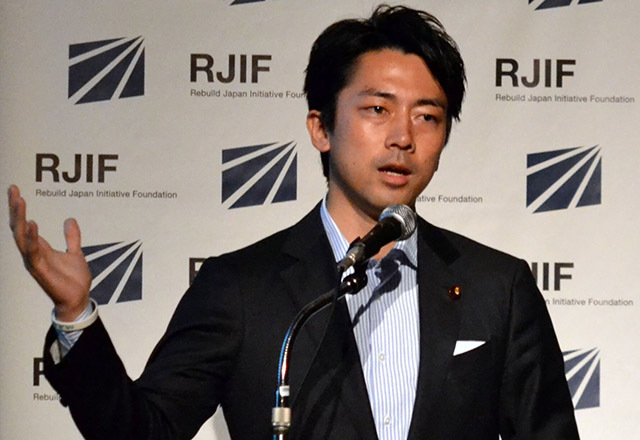 Mr. Koizumi then recommended that as part of the government’s measures to counter the falling birth rate, greater supports be provided for a couple’s first child. Specifically, Mr. Koizumi proposed that the government consider reducing social security expenses for the elderly and using these funds to subsidize the education and medical care of the first child. Mr. Tamatsuka stated that to cope with the decreasing population, companies need to increase the productivity of individual employees, undertake business reforms that review from scratching the companies’ workflow and the necessity of individual tasks, and utilize IT. Ms. Sakakibara has studied and surveyed the population issue over many years, while Mr. Koizumi and Mr. Tamatsuka are active at the front line of politics and business, respectively. Their thought provoking discussion rang true to the audience that numbered more than 300 people, and earned the support of many. The seminar was a reminder of the public’s high level of interest in this theme.